High school - Year of Graduation 1995. 1. Ganeva A., Gecheva G. 2002. 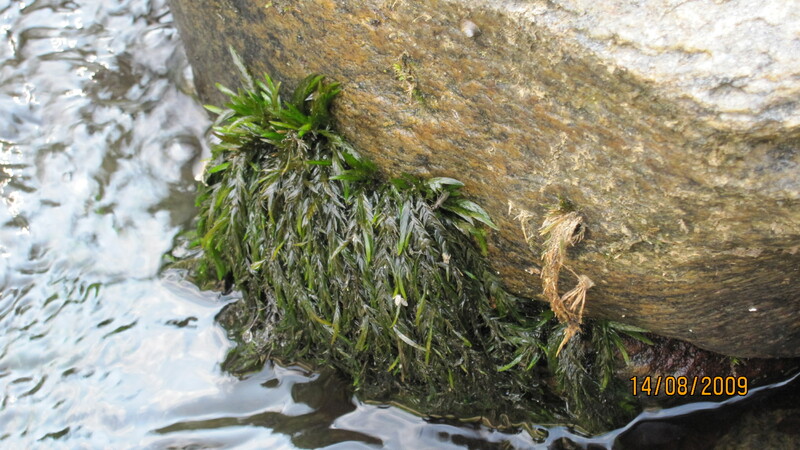 Amblystegium fluviatile (Hedw.) Bruch, Schimp.& W.Gьmbel (Amblystegiaceae, Bryopsida): a new species for the Bulgarian bryoflora. - Phytologia Balkanica, 8(3): 311-314. 2. Gecheva G. 2003. Aquatic bryophytes from the Maritsa river upper stream - a part of the biodiversity of the Rila Mountain. In: International Scientific Conference, Forest Research Institute, Proceedings, 1-5 October, Sofia, v. 1: 277-279. 3. Filcheva E., Yurukova L., Gecheva G. 2003. Some characteristics of sediments from Maritsa River, Bulgaria. - Ecology and Future, 2(3-4): 30-33. 4. Yurukova L., Gecheva G. 2003. Active and passive biomonitoring using Fontinalis antipyretica in Maritsa River, Bulgaria. - Journal Balkan Ecology, 6(4): 390-397. 5. Yurukova L., Gecheva G. 2004. Biomonitoring in Maritsa River using aquatic bryophytes. - Journal of Environmental Protection and Ecology, 5(4): 729-735. 8. 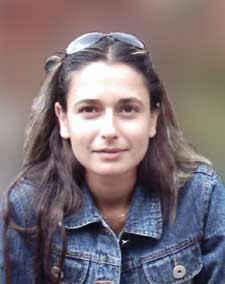 Gecheva, G. 2007. Assessment of water related habitats and their status under the requirements of Habitats Directive 92/43/EEC and Birds Directive 79/160/EEC in the Arda River and Biala River Sub-basins. � In: Technical assistance for water quality management of Arda River, Project Phare BG 2003/005-630.05. Annex 9, 20. 9. Тенева, С., И. Велчева, Г. Гечева. 2007. Ex-situ проучване на алелопатия тип колини. � В: Осма научнопрактическа конференция �Екологични проблеми на българското земеделие в ЕС�, Аграрен Университет Пловдив, Научни трудове, том LII, 53�58. 10. Cheshmedjiev, S., G. Gecheva, M. Mihaylova. 2007. Building of ecological networks � Guide. Plovdiv, 32. 11. Yurukova L., E. Tsakiri, A. Cayir, G. Gecheva, I. Siripidis, V. Karagiannakidou. 2008. Transboundary Air Deposition Estimated by the Moss Hypnum cupressiforme Hedw. in the area of Northeastern Greece - Southern Bulgaria. - In: 4th Ecology Conference, 9-12 October 2008, Volos, Greece. 15. Mahmut Coskun, L. Yurukova, A. Cayir, Munevver Coskun, G. Gecheva. 2009. Cross-border response of mosses to heavy metal atmospheric deposition in Southeastern Bulgaria and European Turkey. � Environmental Monitoring and Assessment 157:529�537. 16. Yurukova, L., G. Gecheva. 2009. Cross border response of mosses to atmospheric deposition of 10 elements in Southwestern Bulgaria and Eastern FYROM. � In: Biotechnology & Biotechnological Equipment 23/2009/SE XI Anniversary Scientific Conference Special Edition/On-line 120 Years of Academic Education in Biology 45 Years Faculty of Biology, Sofia, 955-959. Yurukova, L., G. Gecheva. 2009. Cross border responce of mosses to atmospheric deposition of 10 elements in Southwestern Bulgaria and Eastern FYROM. XI Anniversary Scientific Conference 45 Years Faculty of Biology, May 27-29, 2009, Sofia. Yurukova L., G. Gecheva, E. Tsakiri. 2006. Bulgarian experience during the last 3 EU moss surveys. In: 7th Subregional Meeting on Effect-oriented Activities in the Countries of Eastern and South-Eastern Europe, September 28 � October 1, 2006, Baie Mare, Romania.